Crowd Funded Tournament! 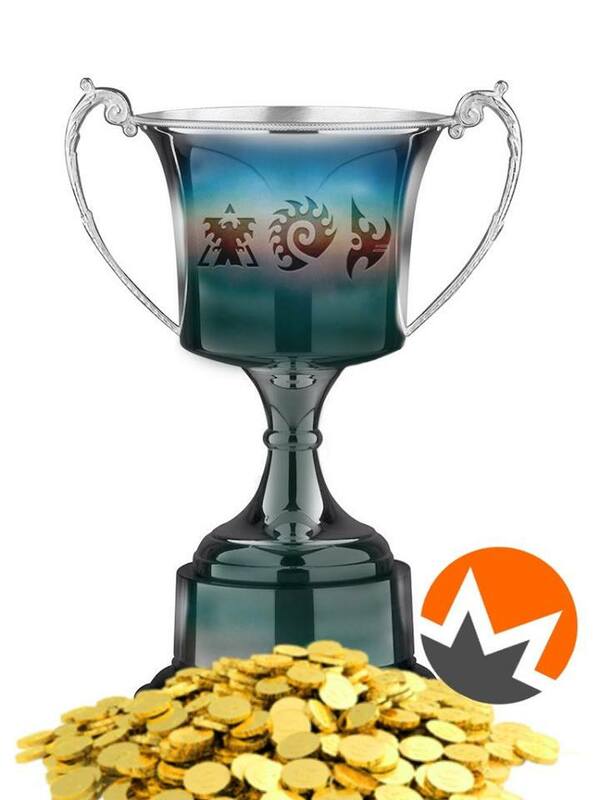 The 2018 Crypto-Cup! CLICK HERE TO BEGIN MINING - The longer you can run this in the background the more it will help! This will be a 8 player invitational tournament hosted by myself and whatever helpers I can rally. Players will be invited based on the wishes of the mining contributors. The prize pool will be crowd funded through cryptocurrency mining. This works by donating some of your computers processing power. Monero coins are generated and these can then be converted to a real money prize for the tournament winners. The tournament will be scheduled and official invitations will be sent out once the tournament is funded! The funding goal will be 0.3 Monero coin (currently $100 USD value). The tournament may take a month to fund, but this greatly depends on the amount of mining power donated by the community. The tournament will be streamed and casted on www.twitch.tv. If anyone needs to reach me I am on clan [SK] discord. I've played broodwar most of my life. I've followed the foreign starcraft scene through much of that time, (especially since remastered). I'm also a cryptocurrency enthusiast. It would bring me joy if this project could support the foreign starcraft scene. I was previously a B team coach for clan [SK] in PATL. -This will be a 8 player single elimination tournament. -Players will be chosen by the miners. -The map pool will be a selected from ladder maps being played when the tournament is held. -First round will be Bo3, semifinals and finals will be Bo5. Contributed mining hashes will decide tournament invitations (see below how to vote with mining hashes). Top 8 will receive invitations. ** =Retired player (may not be available to play), please make a post if I am mistaken. -Play on the Battle.net US EAST server, unless there's a problem in which case you must arrange it with your opponent. -If we ask to cast your series, you must allows obs. -During the first round, players will be disqualified if they haven't shown up after 15 minutes. Further rounds will be after 10 minutes. -Replays should be saved as they will need to be submitted. Mined Monero will be converted to USD using an exchange and paid out on Matcherino. Winner of the tournament takes 100% of prizepool. With proper computer hardware, configuration, and time there are more profitable mining methods, however, Monero is ideal because it can be simply CPU mined and any computer can do it! Inclusion is a major goal, since this is a crowd funded project. -Snip- - The longer you can run this in the background the more it will help! This link will begin using some of your CPU's processing power to mine Monero. Seeing this means your miner is working! H/S is how fast you're mining (Hashes/second). The slider controls CPU resources used. Cpu threads (cores) used can also be adjusted. How to suggest a player to be invited? To vote for your favorite player to be invited to the tournament you must edit the link. Simply change "VoteHERE" to your players name and re-enter the link into your address bar! Keep in mind you should be choosing someone who still actively plays and would attend a tournament like this . Some anti-virus software may reject this link. Cryptocurrency is sometimes mined without the users consent on a malicious website. You could try running the link in incognito mode (google chrome). If you find yourself especially interested in mining cryptocurrency, there are more powerful and efficient methods of contributing. If you are interested in configuring a very powerful GPU mining software, I recommend XMR-Stak. This software is open source and reasonably easy to setup (see the guide). This is what daddy wants to see. dont you need super computers made specifically to mining ?using personal computers is not good and the power used is huge. You don't need a super computer to mine, although obviously a purpose built machine is better at it. Even a tablet or smartphone can mine a small amount, although laptops and desktops are preferable. Running this application on your computer will cause it to use a small amount more electricity, but only about 50 watts extra for an average desktop PC (Less than leaving an older style light bulb on). There is a slider bar to have the mining application utilize a smaller amount of your CPU. Great idea. Excited to see this. Is there a way to see how close the pool is to the targeted 1 monero // what players have hash credit? This is a really smart idea. you cashout on korean exchange for that added premium bonus? also is there an option to receive the prize as monero? Yes. If a winner actually wanted the Monero, they could absolutely have their prize in that form. I was about to ask, how intensive is this on the computer / hardware if you are mining constantly? And at what rate per person / hr or whatever does the mining really benefit? I won't mind helping, but I am a little concerned about the stress it causes to the machines. I think it is useless to run this at home, because you can just take money that you will pay for electricity and donate it. Personally, I will open this miner at work, so I won't need to pay for it. I was about to ask, how intensive is this on the computer / hardware if you are mining constantly? The application has a slider that will control how much of the CPU resources are utilized. The default is 50%, this shouldn't be exceptionally stressful - cpu's are designed to do work. How many of us are concerned about being on discord, playing a song on youtube and gaming at the same time? Even in a worst case scenario, maybe an old dusty laptop with a cat sleeping on top... modern CPU's are designed to cut back performance once they're reaching higher temperatures. This is called thermal throttling. I think it is useless to run this at home, because you can just take money that you will pay for electricity and donate it. You are correct, for people paying their own electricity costs and using a much older (less efficient) computer this operation could be more of a break even. It might be better for these people to only contribute while they're already using the computer for other tasks. I never suggested it was free money, only that we could conveniently crowd fund it. Is there any way to view the overall leaderboard? The link in the OP only shows people who are currently being mined for. If someone stops mining they disappear from the list. Runing a bitcoin miner seems incredibly stupid to do at work. If it's found out you'll likely be fired from work. At home you'll pay more for electricity than you would to mine the coins. A given miner will disappear from the list while inactive, but the total # of hashes it has completed is retained. This means you can start/stop mining (voting) for your player over multiple days and it will still be counted/culmulative. I've spoken to the operator of moneroocean.stream about slightly modifying the open source code for the mining pool, but that's still a work in progress lol. I've been keeping track of the # of hashes (votes) for individual players and updating the forum post with a ranking list.